The plants in the St. Johnswort family have paired, toothless leaves that are dotted with tiny dark glands. The 5-petalled, yellow flowers have numerous, showy stamens. 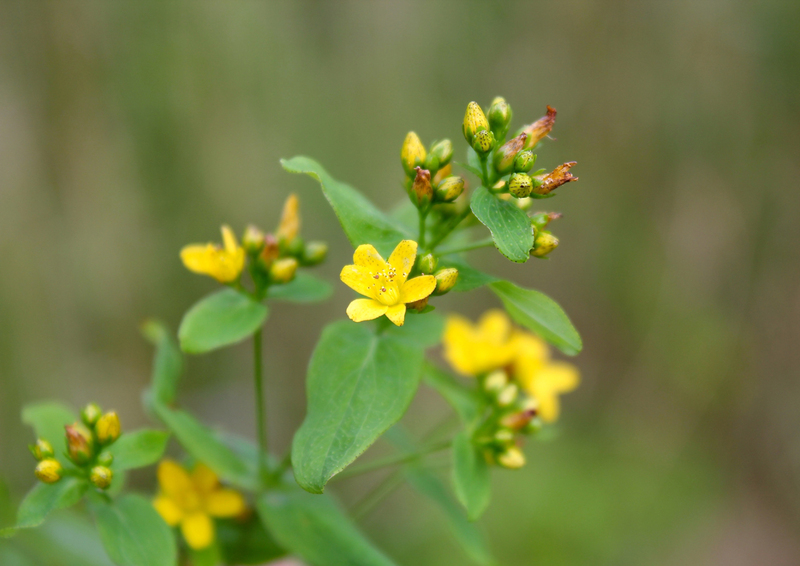 In the case of Spotted St. Johnswort, the elliptic leaves are very rounded at the tip; the tiny glands are black and dot not only the leaves but also the stems and the backs of the small flowers. Unopened flower buds show the distinct dark spots too. Look for this small-flowering St. Johnswort growing in open places on the east coast in summertime.